Wow, what an exciting start to Autumn it’s been for us. 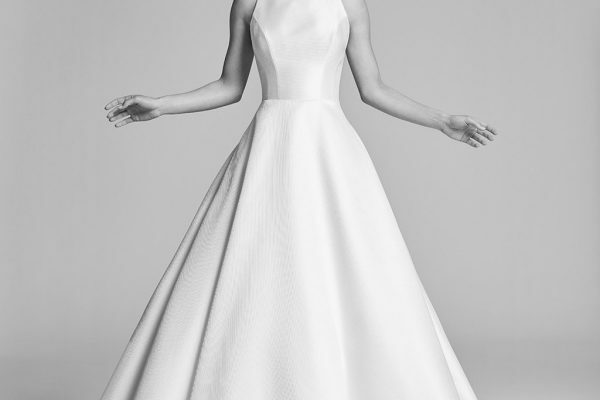 Not only have we had the pleasure of hosting some incredible designer weekends, but we’ve been receiving deliveries, almost by the day, of our stunning 2018 dresses. 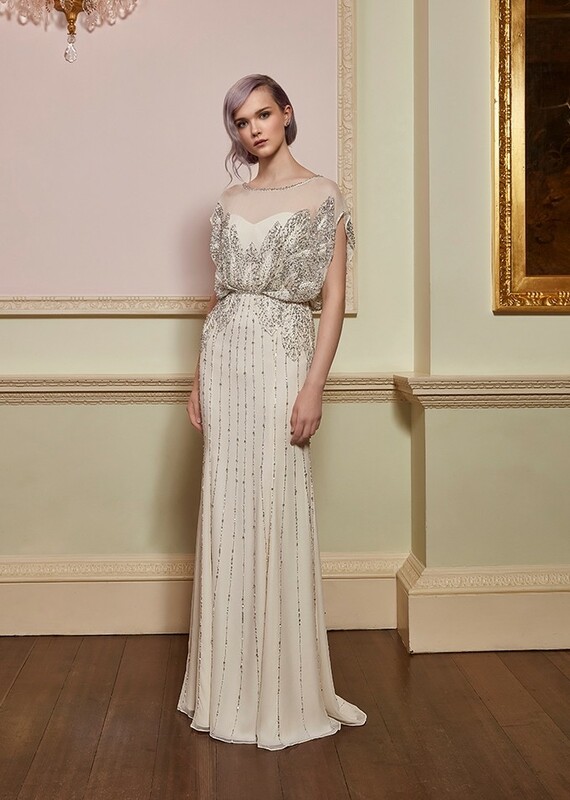 Our showroom is now officially full of new season sparkle, with some of the most gorgeous designs from Stephanie Allin, Sassi Holford, Suzanne Neville and Jenny Packham. 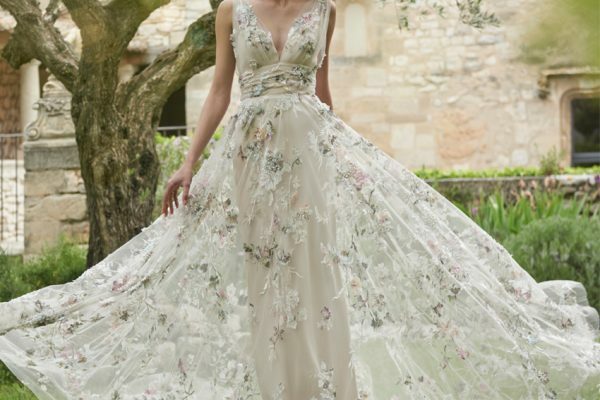 We’ve definitely noticed a step change in bridal design this season too. 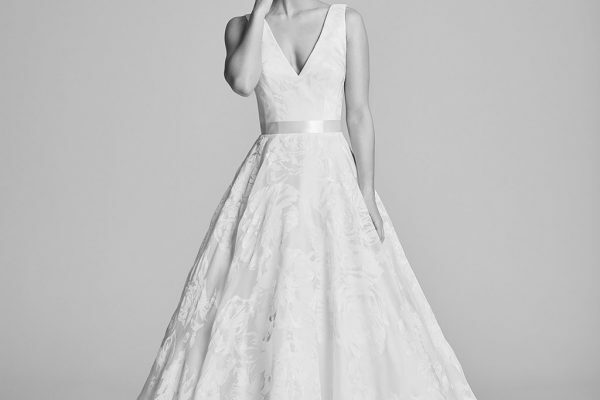 Our incredible British Designers have certainly been busy creating some fresh new looks and updating some of the best loved classics….there’s no doubt that there’s something for every bride to swoon over. 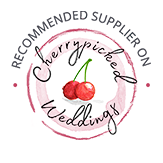 So, without further ado, we thought we’d better introduce you to just a few of this season’s most beautiful dresses (to see and try the full collection, book an appointment…we couldn’t possibly fit the whole fabulous range into just one blog!!)….. Texture and embellishment is a great way to add a modern twist to a traditional look and, this season, our designers certainly haven’t shied away from using fabric with distinct personality. 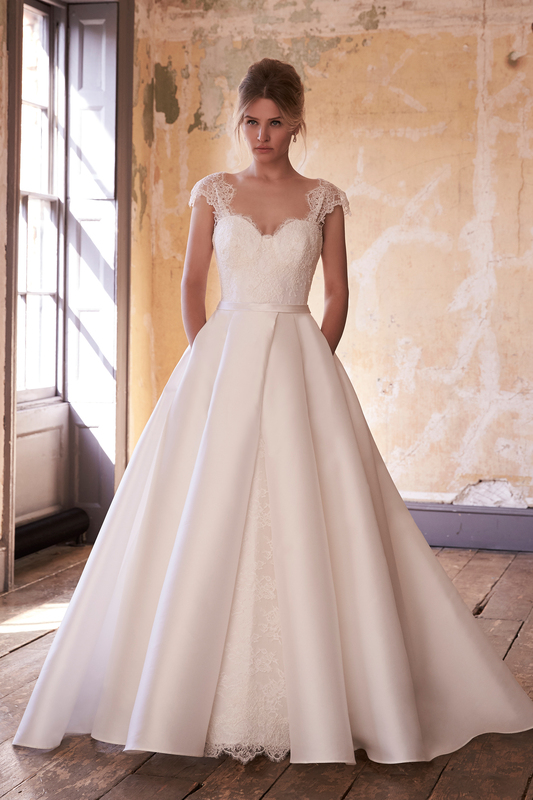 We love the polka dot effect on Stephanie Allin’s ‘Luna’ and the heavy textured lace of Suzanne Neville’s ‘Athena.’…and if you like a bit of sparkle, you should most certainly consider the fabulously beaded ‘Desire’ by Jenny Packham. Of course, there’s always a place for a classic and elegant bride. 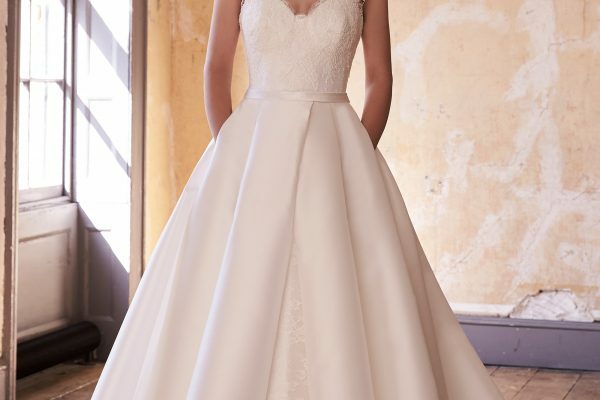 We love the feminine lace bodice against the bright ivory Italian crepe skirt of Suzanne Neville’s ‘Valerio.’ Sassi Holford’s ‘Celia’ offers a crisp traditional soft A-line sillohette with a beautiful gathered chiffon skirt, whilst Jenny Packham’s ‘Awe’ is beautifully elegant, yet designed with signature sparkle and a split up the skirt, to provide a modern twist.